Hello everyone, this is Paul Anderson reporting from Ogun state!! Yes, I underwent my three weeks NYSC orientation course at Shagamu, Ogun state. It was my first time visiting the State too. I picked up my call-up letter from the NYSC secretariat in Lagos and started preparing for camp almost immediately, as I had a week to get my stuff together. The annoying thing about preparing for the camp is that you’ll hear different stories about what to bring and so on. I actually made 16 photocopies of my certificate, transcript and call-up letter but at the end of the day I only used two photocopies of each document. But, aye, it’s better to be safe than sorry … so make as many copies as you deem necessary. Arrival – After getting everything I needed, my next destination was the Orientation Camp at Shagamu. The moment I reached the camp I was amazed at the solid structures and security check point; my mouth literally opened for about 2 minutes. However, I was quickly interrupted by the traders at the gate of the camp, who were selling products including id card holders, buckets, tipex, pens, permanent markers etc. FYI: a permanent marker is an essential commodity here because you’ll need to put your name on all your belongings (like boarding school). Hostel – Locating the male hostel wasn’t difficult as I simply followed other male corpers. After some time on a long queue, I was assigned to my room. The moment I got into the room, my high spirit was just dampened by the rundown state. The room was small, dusty and filled with spiders having a field day while spinning their webs. 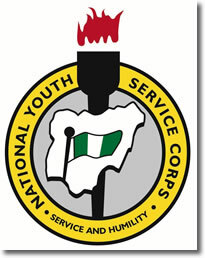 Programme Kick-Off – After locating my bed, I dropped my box off and went to the multipurpose hall, where I was assigned to a platoon (after my documents were cross-checked), and received my NYSC kit. All corp members are put in groups and each group is known as a platoon. There were 10 platoons in total at the Shagamu location. Routine – We woke up at 5am every day, then proceeded to the parade grounds for morning devotion. Afterwards, we’d head to the stadium for lectures. The lectures usually lasted for four hours; very long and very very boring. From time to time, we’d have motivational speakers as well, but mostly “skill acquisition” programmes e.g. ICT, fishing, carpentry etc. After the afternoon lectures we’d head back to our hostels for a brief period of time before the evening parade at 5pm. Then, dinner was served and the mammy market booming! At this point, couples had time to interact with themselves. Most corpers usually went to the mammy market after the day’s activities to chill with friends and catch up on unconcluded gist.10pm was lights out, and then the same routine repeated itself. Soldiers – The military officials in Ogun State camp were very friendly, especially compared to soldiers in other camps (from the stories I’ve heard). The last days of camp were actually quite interesting. The soldiers were more relaxed with the corpers since most of them had already lost their voices from screaming. I argued with one of the soldiers before leaving camp and GOD knows I was ready to stand my ground no matter what. When the zombie realised this, he simply told me to leave. While interacting with some of the soldiers you could see they were passionate about our country, but they all complained about our leaders. It was painful to see soldiers who had served their fatherland for the past 16 years but didn’t have anything to show for it. Toilets – The toilets at this camp weren’t the best. Shot-putting seemed to be the preferred option for most people. For those of you who don’t know, shot-putting is the act of defecating in a disposable nylon (component 1) and flinging it faraway into the bush (component 2). Very gross! The girls were very good at component 1, but struggled with 2. It was a nightmare for any platoon to be told to clean up the female hostel and its surroundings because disposable nylons containing faeces awaited you. Camp Fire – While coming to camp I was told the interesting part of camp was the camp fire night. Basically, each platoon comes together to make the night successful. Unfortunately, our camp fire night was very boring. Each member in my platoon contributed 400 naira, but not everyone who contributed was able to eat. Moral of the story? Ensure your camp fire night is fun! Shenanigans – What I noticed in camp was the fact that you could easily spot students who studied abroad and in the private Nigerian universities, from the way they behaved. I mean, I studied abroad too, (in Ghana, lol), but there was just something about the way the foreign trained and private uni students acted; almost like they were supreme or something. We actually had a foreign-trained student who called her mum to complain about being maltreated by the soldiers. Her mum came the next day and picked her poor child up. A guy who also studied abroad fought with a soldier. God knows if not for my timely intervention the soldier would have been beaten the heck out of the poor boy. My point? There will always be shenanigans at camp so brace yourself! Overall, the orientation camp was a nice experience. I encourage everyone to attend it if you can stand the heat and shenanigans. Just wondered how exactly are you placed. By state of origin?